Why Britt's Packing and Moving Service? Britt's Professional Packing Services will completely pack your household items in a safe and organized manner. We supply all necessary materials detailing every carton, room location and contents. Our professional moving division of clean cut and courteous gentlemen will provide floor protection throughout your home before loading one item. Complete unpacking and placement on all local moves and removal of packing debris. We will pack and coordinate all out of state and international moves. Whether you are moving across town or across country Britt's Professionals are the only call you need to make. Once we receive your request for a quote, you will receive a detailed estimate, including any additional services you may require, as quickly as possible. 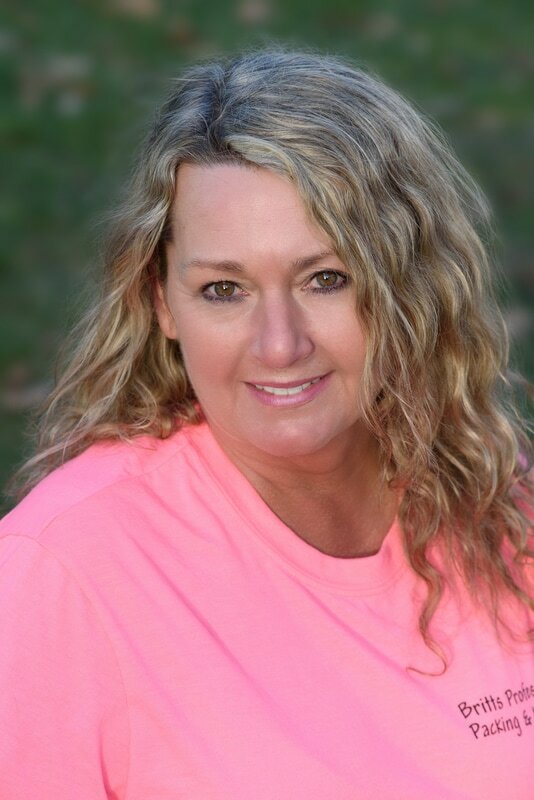 Owner Debbie Britt has been in the moving industry for 30 years. She started her business in 1996, stating " it is one of the best decision's I have ever made, to take that leap of faith and start my own business. I had worked for the moving company for many years. The sales people would tell these families anything they wanted to hear. Two months later when you are ready to be moved, you never knew who was walking through your front door. I love what I do. Relocating is one of the most stressful things you can do. Britt's is here to remove the chaos."